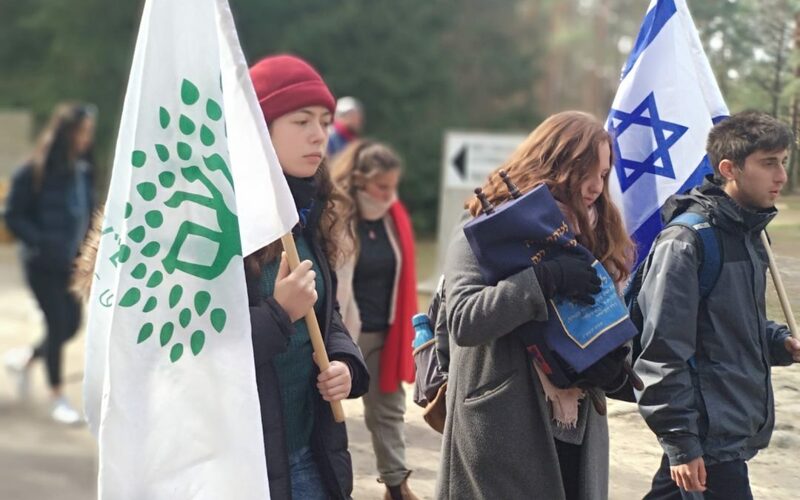 A NOAM trip was Masorti Movement history in the making…for the first time, NOAMniks traveled to Poland and visited places rich with Jewish history and culture. After visiting the Treblinka extermination center, the highly emotional trip concluded at the Majdanek concentration and death camp, where the girls and boys prayed together, and in this bleakest of landscapes, sang Etz Haim. With them on this pilgrimage was a small Sefer Torah donated by the Bieler and Lowy families. Originally gifted to ADRABA, the program for children with disabilities, the NOAM group was permitted to take it on this pilgrimage and so the gift of the Torah was a double mitzvah.